On Friday, I volunteered at the Friends of the Springfield-Greene County Library semi-annual book sale. So you might think I would then go on Saturday to the same book sale. But ah, my foes, and ah, my friends, that’s the way one gets too many books. Instead, I went to the Friends of the Clever Library Book Sale, which is held in the firehouse down there and only has six or seven tables of books. That way, I would self-limit on my purchases. But….American Eductation Is The Worst In The World! But…. but…. I thought people trotted out all kinds of statistics about how dumb American students are when it comes time to pony up other peoples’ money for teacher pensions? But when it comes time for international-conscious people to decide where to raise their child to have the best opportunities, they come to the United States. Back in 2011, I mentioned I was starting to dress up a bit (Going Grant). I still am, although I got away from it for a while, but how does one fit a smart phone into blue jeans? I have no idea. At any rate, here’s a bit about Why Cary Grant is Mandatory for the Manosphere, which talks about how you should act like Cary Grant (not just dress like him). The Other McCain has the story of a guy who tried to get naked pictures of women on the Internet. I was wandering around the library, minding my own business, when I caught sight of this book. At first, I thought the title was Call of Cthulhu something, as if Chaosium was releasing a set of new novels with based on the Cthulhu mythos and its roleplaying game. Then I saw it was not, and the title is what it is, and I thought all the better. The books is about a young man who, as a college student ten years prior, but down a sorority house of vampires and rescued a young lady. The event wrecked his psyche, and he’s been a barrista, mostly, since that period, and he clings to the woman he saved. She’s joined the FBI and is in the Boston office, looking for Whitey. Their relationship is friendship-only since she doesn’t have a lot of respect for him and because she’s a lesbian. One day in his coffeeshop, a bad customer leaves behind a MacGuffin, a computer disk, that the man pockets. While he delivers coffee to his FBI friend, the bad guys shoot up the coffeeshop looking for the disk. 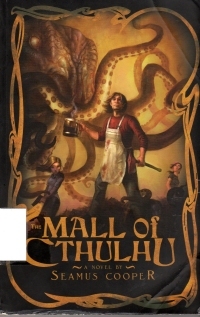 It contains login information for a Second-Life sort of virtual world where the guys are working together to piece together a working incantation to awaken Cthulhu, and they’re going to try it at a mall near a power center. It’s an amusing book, and I enjoyed it. It’s not a thoroughly professional job, as the pacing is just a little meandering at times where some excess is not trimmed–who am I to talk? It’s got a bit of an X-Files vibe going on and a touch of Odd Thomas in it, albeit in the third person. By that, I mean it’s conversational, and there’s really no sense of menace to it. You don’t think the characters are in real peril–who am I to talk?–and the climax, such as it is, doesn’t really seem like a climax and there’s a second subadventure climax in it. Still, I liked the book enough that after I finished reading it and returned it to the library, I ordered it in paperback just so the author could get his buck-three-eighty. So now that that’s out of the way, it’s back to H.P. Lovecraft: The Complete Fiction. Only 250 pages to go. By the way, the President apparently thinks making online sellers collect taxes for all municipalities helps small brick-and-mortar businesses. Well, no, not like these. These are local brick-and-mortar shops that sell online and will be on the hook for collecting sales tax applicable to customers in Charlemont, Virginia. Whatever those sales tax rates might be on any given day. Mr. Enzi’s Marketplace Fairness Act discriminates against Internet-based businesses by imposing burdens that it does not apply to brick-and-mortar companies. For the first time, online merchants would be forced to collect sales taxes for all of America’s estimated 9,600 state and local taxing authorities. New Hampshire, for example, has no sales tax, but a Granite State Web merchant would be forced to collect and remit sales taxes to all the governments that do. Small online sellers will therefore have to comply with tax laws created by distant governments in which they have no representation, and in places where they consume no local services. The developers behind a proposed $78.5 million retail and office complex in southwest Springfield on Monday made their pitch to City Council for creation of a special tax district to help foot part of the bill. Developers Tom Rankin and Jeff Childs want to use a Tax Increment Financing district to help pay part of the costs related to their 96-acre Springfield Plaza development, which would wrap around the Walmart Supercenter at Sunshine Street and West Bypass. No more whispering or passing notes. Menards officially is interested in Springfield. “I guess (this is) an official acknowledgement,” company representative Tyler Edwards told City Council on Tuesday. Edwards said the Eau Claire, Wis.-based company plans to employ about 150 people at a 162,000-square-feet store to be located in developer Paul Larino’s Hickory Hills Marketplace. But the deal is contingent on council approval of a bill removing the home improvement store, which also sells groceries, from the Hickory Hills Community Improvement District. • Reinstating an 1/8-cent county sales tax that expired in June. Part of a larger sales tax for parks, the 1/8-cent tax had funded stormwater projects in Springfield and the county. The task force recommends the tax be sent to voters for renewal every seven years with a list of flood control projects and goals for the term. • Passing a new, 1/10-cent stormwater sales tax to help fund ongoing water quality compliance and the gradual replacement and repair of existing stormwater infrastructure. Like other existing sales taxes, the new taxes would be paid by consumers on most goods bought within the city’s boundaries. Note that that article refers to the sunsetting of a sales tax, which is something else Internet retailers would have to account for under the penalty of law. Collect a sunsetted tax an extra week, get into trouble. 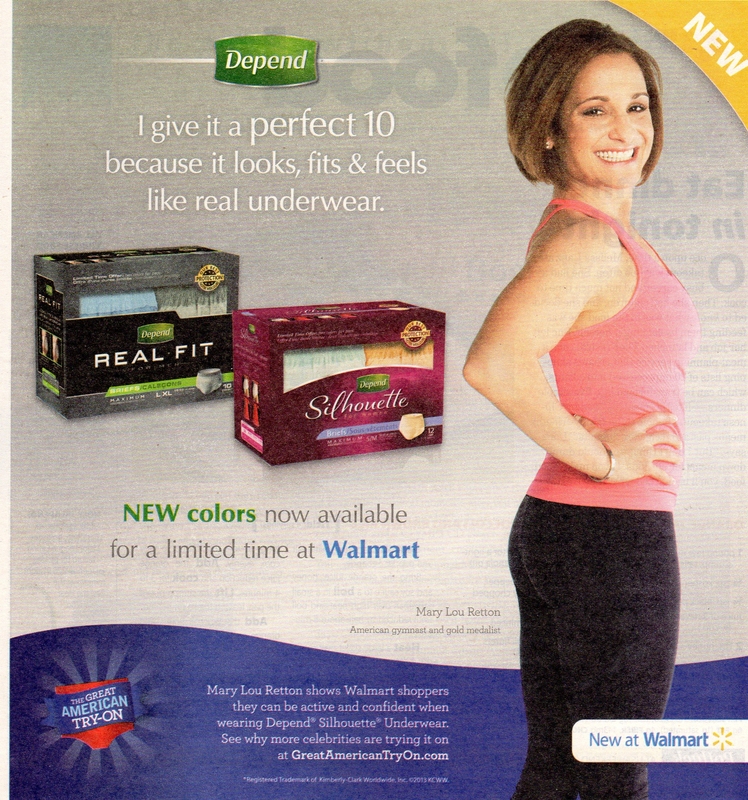 Fun for everyone (who is not a small Internet retailer). Maybe an Internet sales tax might have been workable fifteen years ago, but the profusion of special local sales taxing gimmicks has rendered it completely unworkable now. Online retailers or their newly more expensive payment processing vendors would have to somehow keep abreast of these developments, new taxing authorities, and siloed taxes across counties like the new Arch tax in the St. Louis metropolitan area, and they would need to constantly, daily update their tax levying to reflect new uses and abuses in every county, city, and town in the country. Or, unexpectedly, go out of business. Which will mean the Internet sales tax revenues will be strangely less than hoped, and the well-positioned Internet and brick-and-mortar giants will reap the rewards. The steady rise of sales taxes. The “Arch tax,” as it is known, will add a sliver of a cent to each dollar spent on meals and clothes, furniture and electronics, starting Oct. 1. Three-sixteenths of a penny doesn’t sound like much, but the vote is one of many small decisions that have people here now paying some of the highest sales taxes in the United States. While rates vary across the region — by county, by city, by shopping plaza, sometimes even by building — the trend everywhere is up. The average sales tax rate in St. Louis County is now 8.2 percent, headed to 8.4 percent when the Arch tax starts. That’s up two full points from the 6.4 percent rate in 1997. The growth has been even faster in the city of St. Louis, where tax on a cup of coffee or a meal out can now run as high as 12 percent, after the city’s 1.5 percent restaurant tax. Holy cats, I can’t believe the Post-Dispatch spotlit that. But they did, and good on them. Remember that every sales tax they mention here (except the special restaurant and hospitality bits) would apply to Internet retailers. And I guess the courts would eventually have to sort out how online orders for food delivery would fall under the new rubric. Instapundit links to the White House’s endorsement of the plan, which cites that small brick-and-mortar retailers as an excuse for passing it. Which will last until such time as the regulatory regime comes stalking their little eBay storefronts and they’re suddenly competing against a retailer elsewhere whose tax burden is 2% lower in Texas. At any rate, make sure your legislators in Congress know what a regulatory burden this will impose on Internet retailers and to expect the unintended consequences–namely Internet businesses shutting down–should they too hastily pass this monstrosity. I’d submit this to the Other McCain’s Rule 5 round-up for the week, but I have to much low-level respect for the unsuspecting Internet. Some days, I whistle that an awful lot. Also, I don’t want to make you feel old, old man, but that song’s right near a quarter century old now. The discovery of a hidden camera may help solve a series of break-ins at upscale homes in several North Texas cities. What, just like in John Donnelly’s Gold? Almost. You’re right, I don’t get out to do a lot of book sales these days, and the number of books that I pick up from garage sales is generally so low as to not warrant mention. But twice a year, we head out to the Christian County Friends of the Library book fair, and this spring we followed it with a trip to the Hope Lutheran Church garage sale for the Republic Relay for Life. We went to the Ozark library on Friends Preview Night about fifteen minutes after it opened, which meant we were caught in the throng of people with smartphone UPC readers clogging up the aisles and sometimes plopping down on the floor to look over what they’d removed from the tables. I don’t mind saying, on one hand, I do understand them running a business and using tools at their disposal to maximize their revenue and margins. However, on the other hand, they peeve me because they clog up the aisles and they’ll probably get a valuable book I want just to sell it whereas I, a purist, want to have it. Also, I remember when I was doing the online sales thing around the turn of the century, before common smart phones, and I had to do all that research and remember it. Of course, that factor is one of the reasons why I used to do eBay stuff. A Tree Grows In Brooklyn, a book I’ve had a strange urge to read lately. Probably because I’ve seen it on my to-read shelves already. A thin book on Wisconsin place names. Several in the Gold Eagle Able Team and Mack Bolan series, albeit relatively recent ones. History of Theology, a theology textbook which should make for some light reading. I’ll probably read it before I get to the sociology and criminology textbooks I’ve saved from college for lo, these decades, with the intent of actually reading them some [other] day. Tom Clancy’s SSN, which I intend to use for identity fraud. A hardback copy of Chaucer’s Canterbury Tales which I’ll read someday lo, these decades after reading a select few for a college class. I had a cheap, secondhand paperback for that (and still do); if I’m going to read it in the 21st century, I’ll want something more substantial. Writing Mysteries, an inspirational and perhaps reference book should I bother with attempting another novel sometime. A book about the Hindu faith. I’ll get right on that after a thick study of Buddhism I bought while I was in college (but that volume was not itself a book for a class, just something I wanted to read someday). A western from the Longarm series. Which depicts a man with a pistol on the front. Go figure. A book on the cultural significance of Archie Bunker. Several episodes of OzarksWatch, a program I’ve been recording on DVR but have yet to view. Now I have several interesting ones on videocassette to procrastinate viewing. The three Alien movies I have yet to see. The Hope Lutheran Church sale did not have Aliens. I am reading less over the last year, so I don’t know when I’ll get to these. Someday. Hopefully, medical care will help extend the human lifespan to make it possible for me to do so. Would you believe I’ve posted over 80 such expedition recountings for you? Me, either. I got 9 of 14 on 14 ways to tell if you’re really a nerd. I realize it’s not really a quiz, per se, and that it’s a year-and-a-half old Internet list-with-picture hit-whoring post. But, come on, we always treat them as quizzes when they ask us to gauge ourselves in measurements of how we want to be, don’t we? Come on, you guys know I read Forbes Life and WSJ Magazine for more than Christopher Buckley. I need to know what the people on the coasts who think they should rule over the uneducated mobs in the middle of the country are wearing. 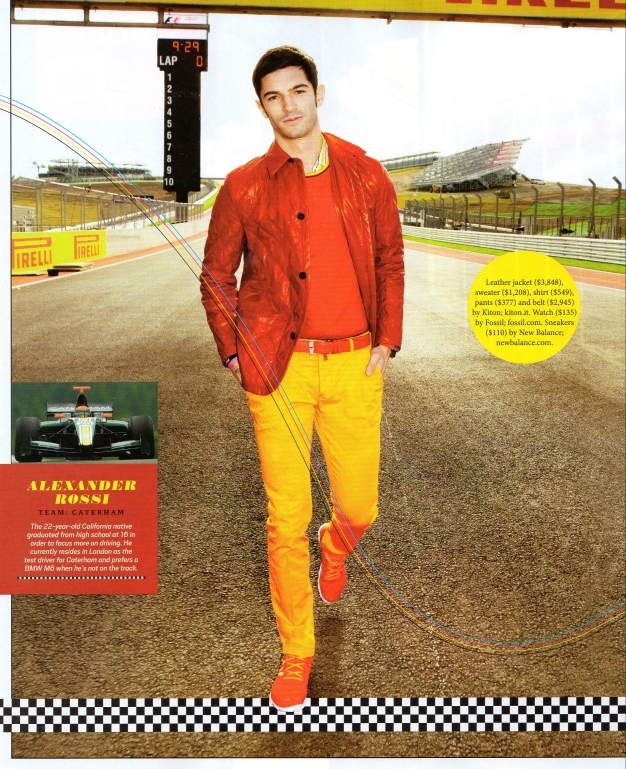 Apparently, this season, it’s shiny yellow pants. You know what makes it even better? They’re $400 yellow pants. The Continental Palate of Brian J. After my recent experience with lingonberries, suddenly I’m trolling the international section of the local Price Cutter looking for interesting sounding things to consume. I mean, someone has to. No, if you’re wondering, they have not yet restocked the lingonberries after I bought one of the two jars on the shelf. The hole is still there, like a missing-toothed smile, and it will remain so until the next boat from Sweden docks in Springfield. What did I get this time? Fresh from the enjoyment of the Matt Helm book The Ambushers, I picked up this book, two of Hamilton’s novellas packaged together for the burgeoning Hamilton fan base. The first, “Deadfall”, deals with a chemist who had been under suspicion for meeting with a beautiful female Communist agent, is confronted again at his new workplace by the FBI. The questioning leads to further suspicion, his resignation, a meeting with the woman whom he has not seen in a long time, and playing the FBI against the Communists as he seeks to clear his name and to keep his former fiance from murder charges. A bit slow for modern tastes, but I can see how it fit in with the times a bit. A nice bit of twist to it in that the demure former fiance turns out to be a Communist agent and the very attractive former Communist agent is really working for the FBI. It’s sort of a twist like from the film The Mask, but forty years ahead of the Jim Carrey film, of course. The second, “The Black Cross”, deals with a married professor who has married an attractive young lady and brought her to his old hometown in New England, where she begins to chafe at the monotony of it. After a drunken row at a party, they are involved in a deadly automobile accident that kills her. In his dazed state, he thinks he sees a man murder his wife with a tire iron. The police discourage the man from pursuing a murder investigation, and he wanders around in a bit of a daze trying to figure out who might have killed her, uncovering some secrets from her youth, including connection with a West Coast night club owner and blackmail. Hamilton does a bit to get us wondering who’s on the professor’s side and who is not, and it eventually comes to a climax that clears it up. The two novellas date from 1947 and 1949, so they’re immediate post-war pieces, but without the punch of the hard-boiled forties guys. The second, in particular, is a bit wordy and dense for the prose’s impact. I wonder if the GI Bill sending a bunch of guys to college made the paperback writers and magazine writers do this up. 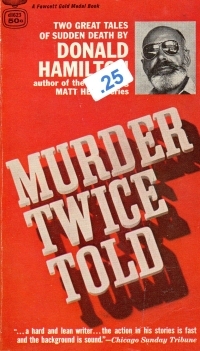 Sometimes, it’s effective, like in Ross MacDonald or John D. MacDonald, but sometimes it is not effective, and bad lofty pulp is worse than the punchy, pre-Gold Eagle sort of paperbacks. Or even many Gold Eagle things, for that matter. So I like the Matt Helm series, where the first person narrator kinda tempers this impulse, but this book was not all that. The Swedish Foreign Ministry says it is sending a diplomat to Belarus after its ambassador was expelled last year following a Swedish advertising agency’s stunt air-drop of hundreds of teddy bears into the former Soviet state. I’m glad to see Belarus is over the bear-bombing, but I still warn them: Do not sign a defensive pact with Sweden. Although she’s gone to war with Russia in the past, I really don’t see that happening again in the near future, unless it becomes Muslim-majority and Russia is one of the European hold-outs. Ah, the imagination reels. As I like to say, All possibilities are possible, but not all probabilities are probable. A Union man who allegedly took more than $800 in prescription drugs from one Walgreens store after attempting a similar heist from another store is in custody. It’s just as likely he was after painkillers, but the criminals are gonna crimin, and hassling law-abiding citizens is a pathetic sham to make it look as though legislators are doing something. It looks as Springfield is getting onboard with that, too. Funny, when I moved down here, I thought it was a conservativish area, but you know what? Electoral politics is the same everywhere, and the crusading politician has achievements (often of dubious value) to claim come election time. So now your allergy medicine will be kept from you, and the city is expending tax dollars to help favored businesses, and they’re all eager to put siloed sales taxes on the ballot to dedicate money to the necessary functions of government so they don’t have to dedicate any of the bad idea slush fund to it. It’s getting to be more like St. Louis all the time, but just a couple decades behind. Over the weekend, this blog turned ten years old. The first post date is currently given as April 5, 2003, but that might have been changed by the move from Blogspot to WordPress three years ago. The time flies whether or not you’re having fun. Well, that’s not how the papers cast it, of course. They say Missouri still lags in passing key driver safety laws, mainly driving while texting. Have you ever noticed how the newspapers always point out that this district or that community (or state) has ‘fallen behind’ others in their rates of taxation and that when legislative bodies don’t rush headlong to curtail freedom by outlawing this or outlawing that or by spending public monies profligately, that the government is somehow falling down on the job? It’s almost as though the papers think freedom of the press means only the press should be free or something. You’re sort of asking for it when you teach a child how to say, “ΜΟΛΩΝ ΛΑΒΕ,” aren’t you?